Set your creativity free with the Flare150 Art Projector, the battery-operated (up to 2 hours of battery life), portable projector in a convenient size. The Flare100 has sharp 1280 x 720 HD image projection from as close as four inches away from your surface and all the way up to mural size! 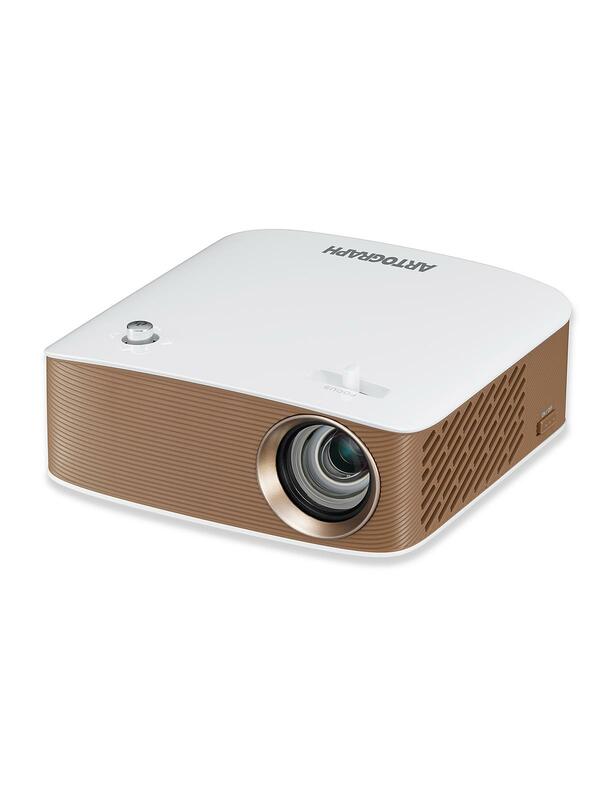 This projector also serves as a digital portfolio/flashdrive for artist client demos. Simply store your files on the Flare150 and project them, connect it to a device through USB or HDMI inputs, or use its wireless screensharing feature with Windows or Android devices. The Flare100 Art Projector includes 22 built-in layout grids and a bonus set of border pattern and geometric shapes to further support your compositional needs.